In this week’s Florida Football Friday Final, OnlyGators.com tackles some exaggerated “trash talk” leading up to the game, familiar faces for both sides and quarterback Tim Tebow returning to Gainesville, Florida, for the second time in two months. 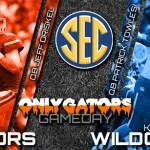 The Florida Gators (1-0) open their Southeastern Conference slate by hosting the Kentucky Wildcats (2-0) on Saturday at Ben Hill Griffin Stadium in Gainesville, Florida. The game kicks off at 7:30 p.m. and will air live on SEC Network. During a post-practice interview on Tuesday, Kentucky running back Jojo Kemp (a Deland, Florida, native) was asked about playing at Florida in front of friends and family. In the middle of a rather innocuous reply, he dropped a line that – when singled out and defined as “trash talk” – has since drawn some attention. “A couple of my [high school] teammates actually went to Florida, so I’m familiar with a lot of those guys. It’s going to be fun walking out with a victory and rubbing it in their faces,” said Kemp with a light laugh when he was asked if he knew some players on the Gators. Of course, that would not be the end of this story. During the weekly Southeastern Conference coaches teleconference on Wednesday, Wildcats head coach Mark Stoops made a mountain out of Kemp’s mole hill of a comment…while simultaneously putting it in proper, correct perspective. “But like I told him [Tuesday], ‘You think they’re gonna hear all that? They’re gonna hear the last five seconds of what you said,’” Stoops continued. “And I know the great pride of the players in that locker room at Florida. … I know personally quite a few of those players and the pride that they have, and one thing: it’s not very smart to try to challenge their pride before you play them. Believe me, I know them. And so I don’t think that was very smart. It’s not something that I teach. It’s not how we talk. Stoops is in a strange position here. On one hand, he understands full well that Kemp meant nothing by his comment, that it being defined as “trash talk” is ridiculous. On the other, pre-game fodder is pre-game fodder and even perceived slights will be used to help motivate an opposing program. Considering Florida has won 27-straight games against Kentucky and enters Saturday’s home contest as an 18.5-point home favorite, one would think the Gators would just brush off this very benign comment. A couple hours after that, redshirt senior walk-on fullback A.J. Mobley posted the following photo on his social media services. Apparently the Gators felt it was necessary to turn Kemp’s now-completely-overblown and somewhat-taken-out-of-context comment into a poster – complete with UF’s new, strange and terrible font style – that was stuck somewhere in Florida’s football facility. While Mobley’s picture was making the rounds (before it got pulled off his accounts), Taylor was meeting the media and had the following to say about Kemp’s comment, his Twitter response and whether the Gators will use it as motivation for Saturday. It would be nice if this was the last you heard of Kemps comment, but you know that will not be the case. Look for it to be mentioned on ESPN‘s College GameDay, SEC Network‘s SEC Nation, during the game broadcast and in every other preview you read for UF-UK ahead of kickoff on Saturday evening. Overlooked throughout the week has been first-year Florida offensive line coach Mike Summers and his connection to Kentucky. 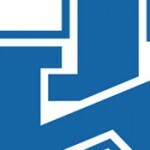 Summers, who began his coaching career as an offensive line graduate assistant with the Wildcats (1980-81) and recently spent a three-year stint at UK as the run game coordinator/offensive line coach (2010-12), is quite familiar with many of the players on the team, even if the schemes have changed since he left the program. Of course, Florida offensive coordinator Kurt Roper has his own ties to Kentucky, serving as quarterback coach for the school in 2005, though that was a one-year gig under Rich Brooks as he waited for David Cutcliffe to get a new job (as Tennessee’s offensive coordinator the following sason). While Stoops himself does not have any direct connection to the Gators, he is certainly familiar with Florida after serving as defensive backs coach at Miami (2001-03) and most recently the defensive coordinator at Florida State (2010-12). Stoops is 5-2 against UF overall in his stops at UM (2-0), FSU (2-1) and UK (0-1), holding a 2-0 against the Gators at The Swamp. Before Florida-Kentucky is even able to kick off Saturday night, Gators fans will be cheering in Gainesville as former Heisman Trophy-winning quarterback Tim Tebow will return to campus for the second time in the last two months. 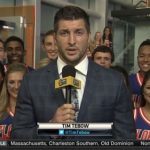 Tebow, one of the four men featured on SEC Network‘s Saturday morning show, SEC Nation, will undoubtedly be the focus of the program this week as it eminates from Gainesville for the very first time. It will also be interesting to see which Florida player Tebow chooses as his “Freak of the Week,” a segment in which he spotlights a weight room superstar on the host team’s roster. Senior tight end Hunter Joyer might be my pick. @onlygators I think he'll go with Joey Ivey. Of all the players I've talked to he's a top pick for the strongest on the team. The SEC Nation set has been built on campus at the Plaza of the Americas. The show airs from 10 a.m. to 12 p.m. on Saturday, but fans can begin showing up for a prime spot behind the analysts at 9 a.m., one hour prior to the show going live. This article says the game kicks off at 7:00. Isn’t it 7:30? I had heard Antonio Morrison was pretty beastly, but maybe now that he lost all that weight his #s have dropped. So it’s not enough that we just win the game? The same program that lost to Ga South last year? Now we’re such a juggernaut that we have to score 40+ points? Like we’re an NFL team playing a H.S. program? lol. No wonder we’re so hated, almost universally, by the fans of other programs. And don’t tell me it’s because we’re so awesome and they’re so jealous. Please. All you have to do is read our message boards to figure out why the rest of the SEC is united in despising us. Heck, I BLEED orange and blue and I don’t like us very much about half the time myself.